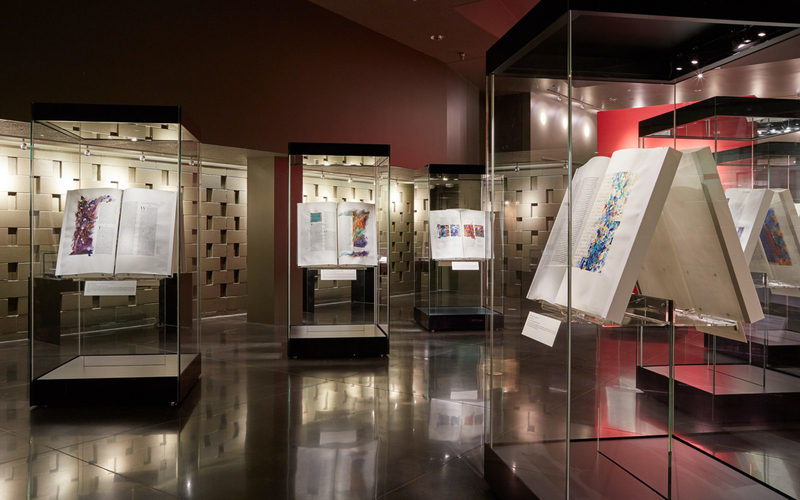 After traveling the world in exhibition, the Saint John’s Bible now has a permanent resting place at St. John’s University in Collegeville, Minnesota. 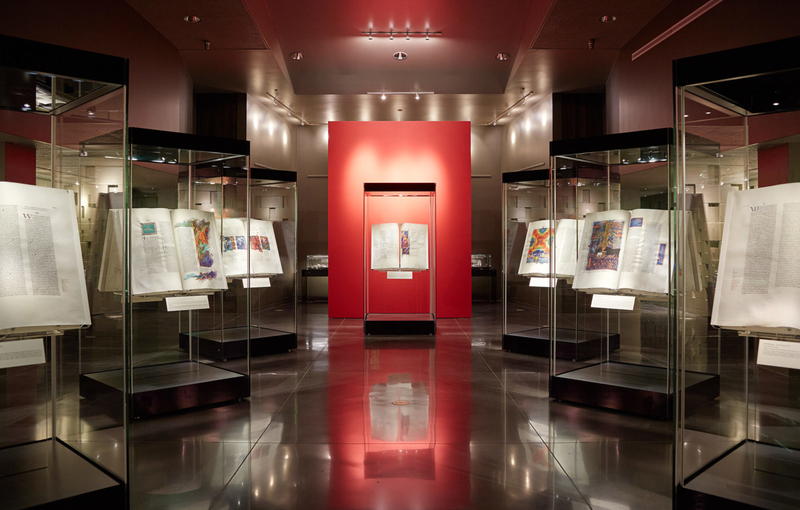 Designed by CSNA Architects, the gallery provides permanent display space for pages from the first fully hand-executed Bible since invention of the Gutenberg Press. It was produced according to authentic procedures used for medieval manuscripts – hand scraped animal skins for vellum; minerals ground by mortar and pestle for ink colors; feathers trimmed to their barb and tempered in hot sand for writing instruments. The Bible was commissioned by the Benedictine Abbey of St. John’s in 1998, and was completed in 2011. 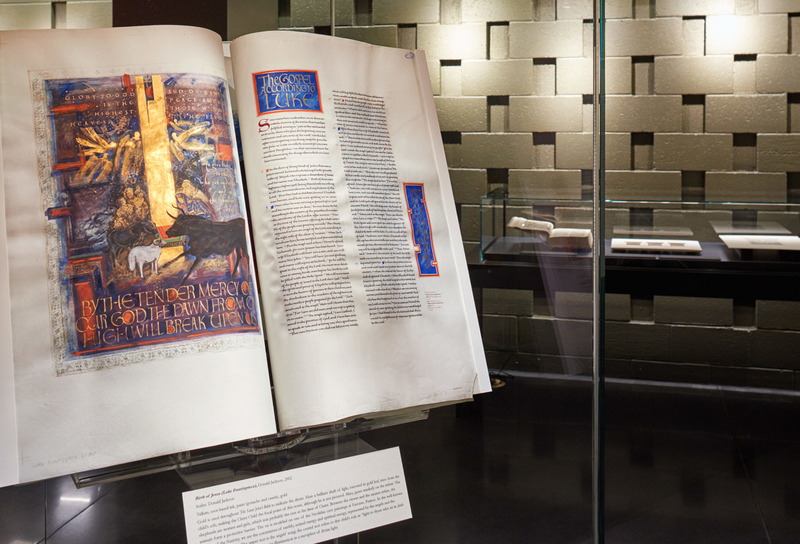 Produced under the direction of the internationally-renowned calligrapher Donald Jackson in his scriptorium studio in Wales, the Saint John’s Bible has been heralded as a new world treasure.